Join other local cyclists on July 7th to ride 100km as part of the Rapha Women’s 100. The Rapha Women’s 100 (http://bit.ly/womens100event) is a global event getting thousands of women around the world to ride 100km on the 7th July wherever they are. Route will be posted on this page, before the ride. This will be a hilly, challenging road ride, with a marked route, and support provided by roll: bicycle shop. roll: mechanics will follow the ride, and be on board for mechanicals, emergencies, water, and food needs. However, there is a great chance that riders will get pretty spread out, throughout the ride. So, please still bring your own essentials: food, water, repair kit, spare inner tube. I am currently trying to coordinate one food/water stop at the halfway point... but still bring you own water and nutrition! It might be hot out there, so this station will serve as a refill, replenishment option. Before the ride, we'll provide two contact numbers to call, in case you need support from the roll: vehicle. Rockmill Brewing Company is partnering up with us to provide a start and end location. 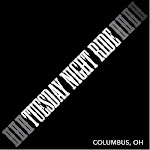 There will be food provided for after the ride, and beer will be available for sale at the bar. Rockmill is located just NW of Lancaster, OH. Start time changed to 9:00 am.